When the June session of the Court of Appeal opens, there will be two new Justices of Appeal: they are Justices Murrio Ducille and Franz Parke. 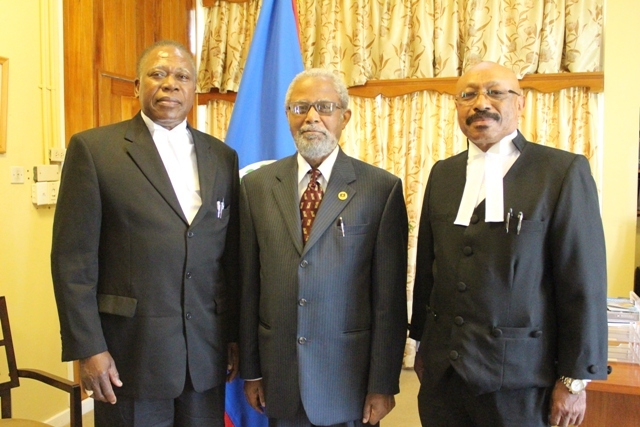 Justice Ducille has practiced law in Jamaica, Bahamas and Dominica. In Jamaica, the Justice served as Clerk of the Court with responsibility for criminal prosecution, State Prosecutor in the Office of the Director of Public Prosecutions and Acting Solicitor General. In the Bahamas, he also served as Chief Prosecutor and Attorney General as well as Director of Public Prosecutions in Dominica and Chief Magistrate in Antigua and Barbuda. Justice Parke, meanwhile, has practiced law in both Jamaica and the United States. He has also served as Crown Prosecutor in the Office of the Director of Public Prosecution and then began work in Florida as an Assistant State Attorney in the Dade County State Attorney’s Office and as an Assistant Regional Counsel in Criminal Defense in Dade County, Florida. Both justices were sworn in on Monday. Will the P.U.P. Contest Upcoming Bye-election in Dangriga? Should the P.U.P. contest the upcoming Dangriga bye-elections?